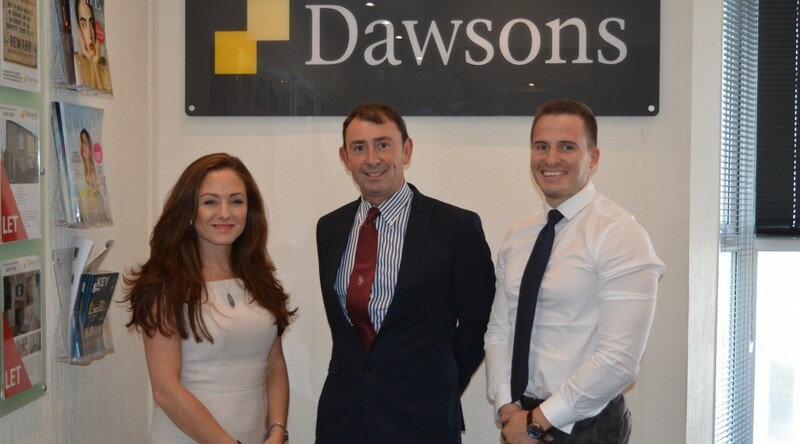 Dawsons Estate Agent is delighted to be continuing their longstanding sponsorship of the ever-popular Cracker Sevens at Mumbles RFC this year. As always the three-day festival of rugby takes place over the Bank Holiday from August 25-27 in Underhill Park, Mumbles. Organiser Martin Rodwell of Mumbles RFC has seen Dawsons loyal sponsorship span more than two decades, and feels Dawsons has played a key role in helping to make the event flourish year on year. James Dawsons, a Partner at Dawsons, has been associated with the tournament for many years, having played in the event in his youth and as a sponsor. “Being a player in the Cracker Sevens and to then go on to sponsor the event year on year is a privilege,” said James. New Mumbles RFC Chairman Simon Evans, who is pictured with Dawsons’ Mumbles Branch Manager Emma Bolton and Tom Hope of Dawsons’ Fine and Country Department. The actual Cracker Sevens tournament begins at noon on Sunday, August 27 with a cash prize for both the ladies and men’s tournament. That is after a junior and mini’s tournament and family fun day on Saturday. There will be a barbeque and beer tent at Underhill and a live music playing after the rugby.